Comedian-actress Amy Schumer opens up about her husband Chris Fischer suffering from autism spectrum disorder. During her live show in Chicago for her upcoming second Netflix stand-up comedy special: Growing, Hollywood actress Amy Schumer made a surprising revelation addressing that her husband Chris Fischer suffers from an autism spectrum disorder. As a matter of fact, according to Schumer, she found about her chef husband's autism disorder soon after the couple started dating two years ago in late 2017. Dressed in a navy blue knee-length dress with her blonde hair put in a high bun, the 37 years old comedian starts sharing to the crowds: "I knew from the beginning that my husband’s brain was a little different than mine." 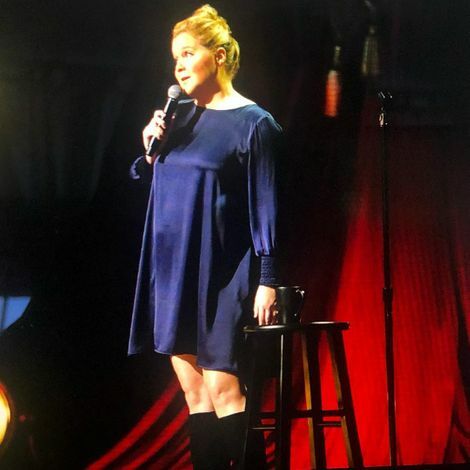 Amy Schumer during her Netflix stand-up comedy special: Growing. Autism Spectrum Disorder as what used to be known as Asperger’s before is a condition that affects the development of a person's social behavior and communication. "My husband was diagnosed with what used to be called Asperger’s. He has autism spectrum disorder. He’s on the spectrum. And there were some signs early on." Giving a few examples, Amy shares a story at some time before when Chris “kind of froze and became a lighthouse, opening and closing his mouth” instead of helping her after she fell. The James Beard Award-winning cookbook author can’t lie too. Every time the actress asks his husband if she looks good in a new outfit, his response might include something like: "You have a lot of other clothes, Why don’t you wear those?" Schumer continues adding that his disorder qualities and knowing that he suffers from the autism spectrum were actually what made her fall in love with him. The actress also took to her Instagram on Monday to thank Chris who kept her going throughout her pregnancy. "His willingness and desire to be open with the world about himself and our marriage is courageous and beautiful. He makes me laugh more than anyone and he laughs at me more than anyone." "I am more than grateful to have found such an amazing partner and best friend. I’m shocked. I didn’t think this love was out there for me. But it was and it is and I can’t wait to spend my life with you and our growing family." Amy is presumably eight months old pregnant to her first child with husband Chris who she married in February last year. Pregnancy journey hasn't been easy for the 'Trainwreck' star. Only last year in December, Schumer shared a video of her puking in a public restroom to her fans on social media. Amy Schumer shares a snap of her running naked on a field. 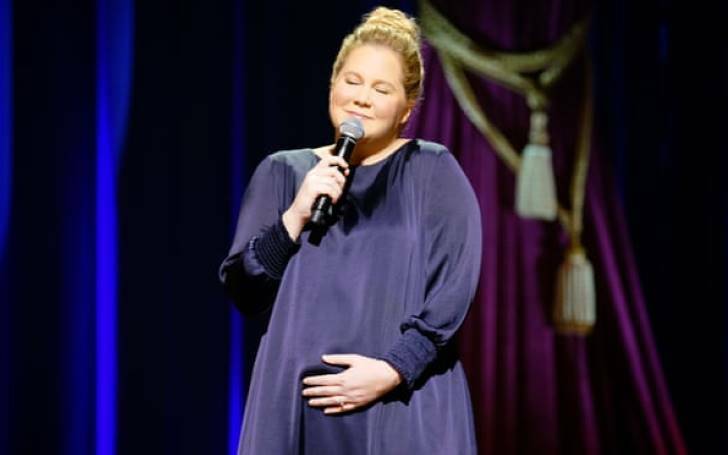 As a matter of her fact, her uneasy pregnancy journey even led to the comedian on canceling the remainder of her tour dates last month. Luckily, by observing her performance from last night, it appears the actress is doing good lately. Schumer's Netflix comedy special; Growing streams on Netflix from tonight (19th March).